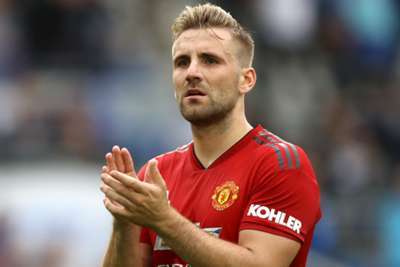 Jose Mourinho commended Luke Shaw for being brave and responding "in the best possible way" to the coach's public criticism after he secured a new long-term Manchester United contract. United announced on Thursday that Shaw, 23, had agreed a new five-year deal at Old Trafford, having looked doomed for the exit not so long ago. His future at the club appeared to be bleak due to persistent criticism from Mourinho, but his improved form in 2018-19 has seen him secure a regular place in the starting line-up and a recall to the England squad. Thursday's news saw Shaw's redemption complete, and Mourinho is proud of the left-back's determination to succeed. "The players are different, and they react in different way to different processes, and Luke reacted in the best possible way," Mourinho told reporters on Friday. "In different moments, the moments where he was not selected or not playing regularly, he was saying the same all the time: 'I want to play for you, I want to play for United, I'll make it and I'll be the player you want me to be'. "He did it. He faced the process in a brave way. He started before the season began in the best possible way, as he went for holidays with a club fitness coach and he arrived in much better condition than players who had a holiday for fun and rest. "Then, from a tactical point of view, he absorbed all the work we accumulated in the last years. Mentally he got stronger and the happiness of this season – playing regularly, feeling that the [left-back] place was his and I think also the national team feeling helped... it was an accumulation of factors. "It's an important contract for the club to keep him, and important for him because it's what he wants, and I always want the players to be happy."